Microsoft is highly focused on solving industry challenges, creating new opportunities and driving digital transformation for all organizations. Through dedicated industry resources from Microsoft and premier partners, new solutions, content, and guidance are released almost daily. This monthly blog aggregates a series of the newest resources focused on how Azure can address common challenges and drive new opportunities in a variety of industries. New types of attack vectors and fraud are emerging every day, and detection systems need to respond faster than ever. Find banking case studies and information from financial leaders showing how Azure machine learning and AI solutions can rapidly detect and protect against risks. In corporate finance and investment banking, risk analysis is a crucial job. Read how Azure can be used to implement a risk assessment solution. Banking customers want more from their services, including new choices, speed, and tailored recommendations. Find out how modern retail experiences can help. Immutable Blob Storage is now in public preview – enabling financial institutions to store and retain data in a non-erasable and non-rewritable format – and at no additional cost. Software providers and partners can now rely on Azure as a one-stop shop cloud solution for records retention and immutable storage with sensitive workloads. Register for the Accelerating Artificial Intelligence (AI) in Healthcare Using Microsoft Azure Blueprints -- Part 1: Getting Started webinar! Artificial Intelligence holds major potential for healthcare, from predicting patient length of stay to diagnostic imaging, anti-fraud, and many more use cases. To be successful in using AI, healthcare needs solutions, not projects. Learn how you can close the gap to your AI in healthcare solution by accelerating your initiative using Microsoft Azure blueprints. Blueprints include resources such as example code, test data, security, and compliance support. This session is intended for healthcare provider, payer, pharmaceuticals, and life sciences organizations. Find out how healthcare organizations are using AI and machine learning to detect patient risk and identify disease faster while maintaining privacy and protecting against fraud. Fraud significantly contributes to rising health care costs. Insufficiency protection of data integrity and insufficient transparency enable fraudulent activity. Explore how blockchain is used to address fraud by addressing transparency and data integrity. Payers, providers, and pharmaceutical companies are all seeing applicability in their spaces and are taking advantage of ML today. This is a quick overview of key topics in ML, and how is used in healthcare. New technologies like the Internet of Things (IoT), Artificial Intelligence (AI), Machine Learning (ML), and Big Data give insurers “superpowers” to assess risk more accurately, manage risk continually, and mitigate risk in real-time. This example scenario is applicable for businesses that need to process images like analyzing text and images for insurance claims. IoT in manufacturing isn’t just about collecting data. It’s about gaining insights to inform actions that help drive business goals and create new opportunities. Find use cases, stories and examples to learn how Azure IoT tools are helping manufacturers make the most of IoT in their operations. 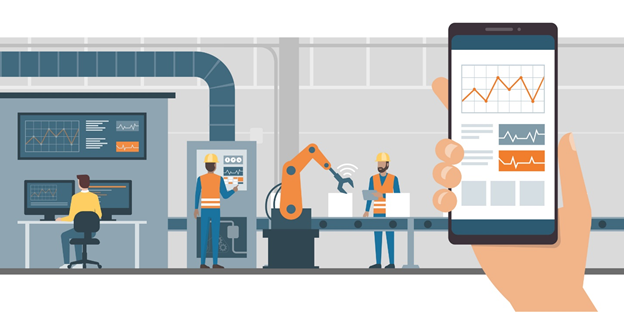 With advances in cloud storage, machine learning, edge computing, and the Internet of Things – predictive maintenance looms as the next step for the manufacturing industry. The article covers popular areas in engineering and manufacturing that need large computing power and explores how the Azure platform can help. Explains the reasons retailers and consumer brands to move to the cloud and provides recommended next steps for starting this journey. Do you simply rehost your application in the cloud as-is? You immediately save the cost of infrastructure. Or do you consider application refactoring? A switch to Azure PaaS (and even SaaS) increases the ability to integrate new services — those that expand capability, performance, and scalability. I post regularly about new developments on social media. If you would like to follow me, you can find me on Linkedin.